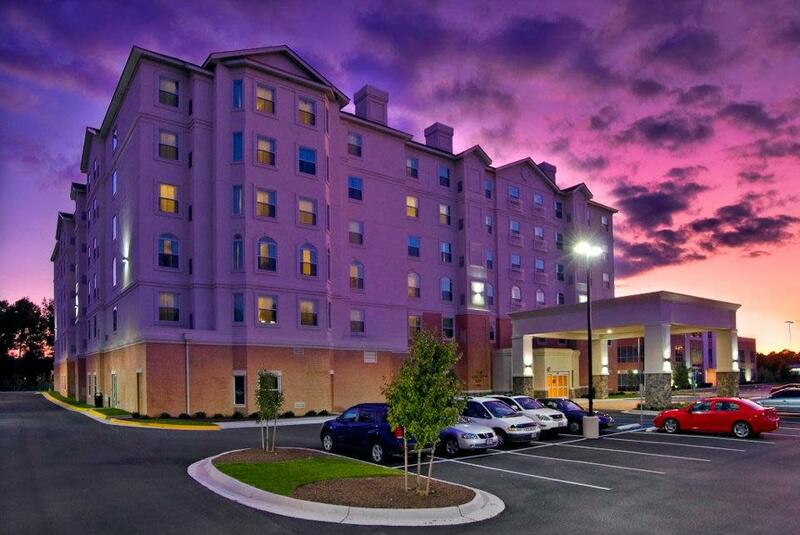 The Brand New Homewood Suites by Hilton Virginia Beach hotel is an all-suite, upscale, extended stay hotel just five miles from Norfolk International Airport. This hotel features 122 suites including your choice of Studio Suites (one large room) or One and Two-Bedroom Suites. All suites present well-equipped kitchen facilities with full-size appliances with a stove top, areas for work and relaxation, complimentary wired & wireless high-speed Internet access and LCD flat-screen TV's. 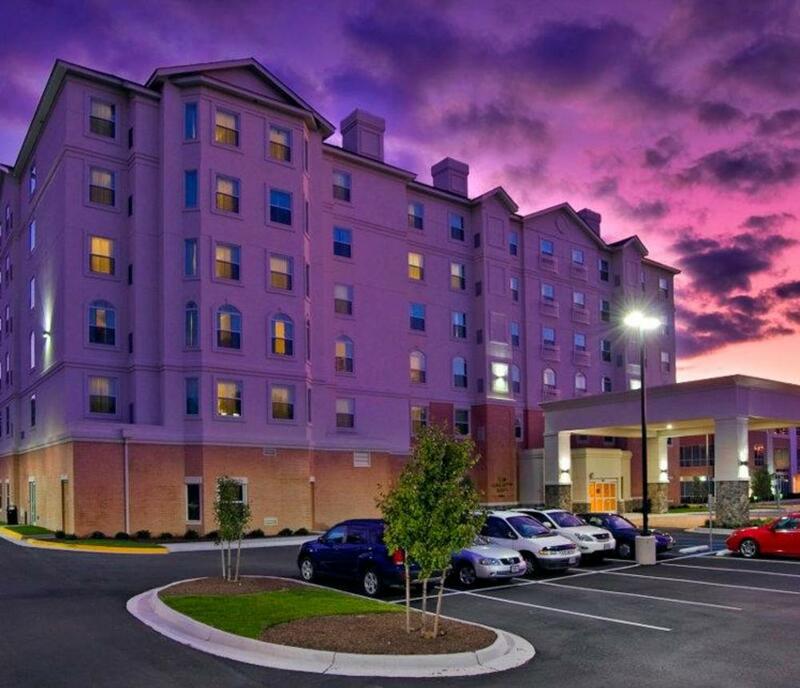 Conveniently located off I-264, it is nearby many of Virginia Beach's points of interests including the popular Virginia Beach Oceanfront and Boardwalk, Ocean Breeze Waterpark, Virginia Beach Marine Science Center, The Sandler Center for Performing Arts, Virginia Beach Town Center (3 miles), Downtown Norfolk and several Military Bases.